Loafers are absolutely stunning shoes. Honestly, I don't think anyone can say they would never wear a pair. They come in such a wide range of colors, patterns, and styles that anyone can find a pair they would absolutely love. Above I have gathered some of my favorites from around the web to show that loafers really are for everyone. My favorite pair would have to be between these and these. It is just so hard to pick just one pair. What's your favorite? Do you currently own any loafers? If I buy a new pair of shoes any time soon, they will definitely be a pair of loafers. On my next shopping trip I will be scoping stores out for a beautiful pair. I have a hard time finding shoes online that fit me well, so I always by shoes in person. This Spring I want to be rocking a pair of these in the nice, sunshiney weather though. What about you? so many great picks.. love the edgy and girl ones. ooh love the leapard print ones! xO! Love love love loafers. The prep and girly ones are definitely my faves! They are too cute. love the wild child pairs!!! so chic! I have wanted a pair for ages. I love the tartan, glitter and animal print (can't choose a favourite between them). I absolutely love loafers! This makes me want to run out and buy a few more pairs. 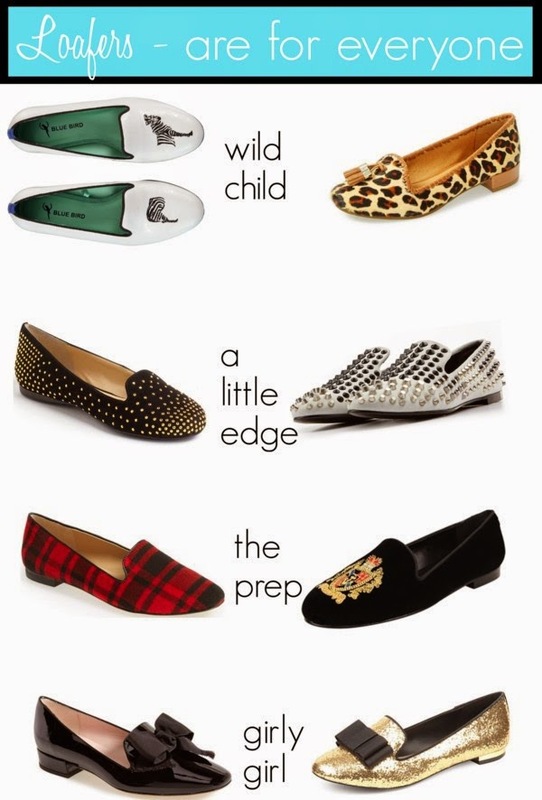 Dying over the Kate Spade loafers!!! The zebra one is the cutest!! The white zebra are my favourite!